1.00 The purpose of this policy is to provide guidance to members of the Laurier community who are conducting administrative research using human subjects. 2.00 Administrative Research is research that is conducted in order to gain information for assessment, management or improvement purposes such as quality assurance and quality improvement studies, program evaluation, department reviews and surveys to understand customer needs. This is research that is not intended for external publication or presentation. 3.00 This policy does not apply to research that is intended for external publication or presentation. If there is a plan to publish or present the results of the project, Research Ethics Board (REB) approval must be sought as per Policy 11.13 Ethics Review of Research Involving Humans. REB approval cannot be sought retroactively for data collected as Administrative Research. 3.01 This policy does not apply to information which is necessary for the University to collect from individuals for operational purposes (i.e. administration of the university's functions and responsibilities). 4.00 Ethical behaviour in the collection of information from human subjects is an important community and social concern. 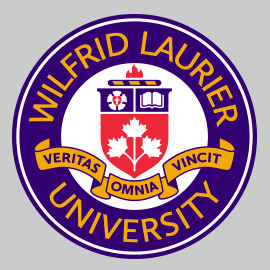 As a result, Laurier has established a review process for projects initiated by faculty, staff, and or students to collect information from human subjects for administrative purposes. i. Data collection may not take place until approval from the Office of Research Services (ORS) has been received. ii. All Administrative Research must be reviewed by the ORS to determine if it meets the criteria for approval. ORS may consult with other members of the Laurier community about the project depending on its nature and scope. For information and forms needed for approval, see Procedures for the Approval for Administrative Research Projects Using Human Subjects and the Administrative Research Project Form. iii. Approval for Administrative Research projects may be dependent on the timing of other initiatives. For example, the Office of Research Services may give approval for a project, but require that the project not commence until a later time. Situations where this may occur include but are not limited to instances where a project is believed to interfere with another initiative, coincide with a similar project being done by another group, or involve a group that has already been polled recently. iv. Applicants are responsible for obtaining any further approvals that might be required to complete their project. i. Those being asked to respond must be informed that their contributions are voluntary, and there is no obligation on their part to participate. ii. Participants must be informed about why the information is being collected, how it is to be used, and whether their responses will be attributed to them. iii. All submitted results are subject to privacy policies and legislation. All university employees are required to obtain the appropriate approvals before proceeding with a survey or other administrative research project.